As 2017 draws to a close, it’s time to look ahead to the future. As we look ahead, we can only hope that 2018 can exceed the medium bar set by 2017. December is usually the time when young people scurry and flurry around the snow and pen their Christmas Lists. 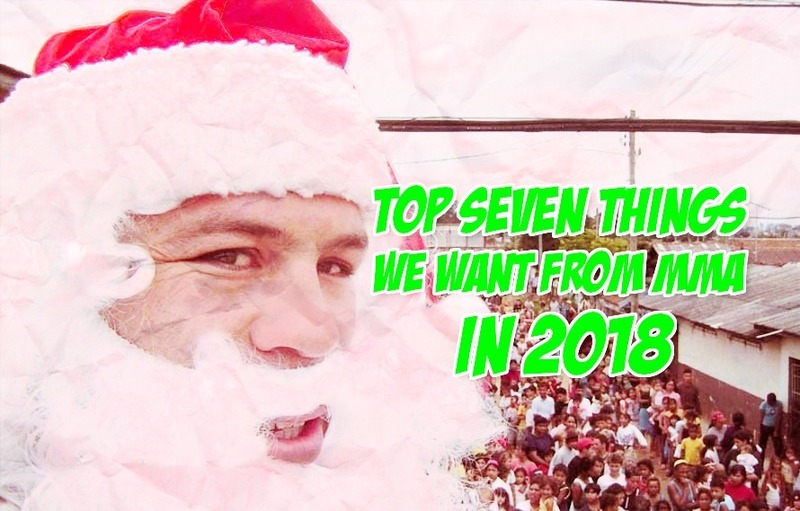 The older we get the less likely it is Santa will bring us something cool, but we’ve compiled a ‘Christmas Wish list’ of changes and suggestions that MMA fans want to see in 2018. It’s uncertain where Conor McGregor’s future lies. There’s some rumours floating around that a potential March comeback fight with Tony Ferguson is in the works, yet it’s still uncertain whether he’ll ever return to MMA or not. There’s tons of cards on the table and a Ferguson fight doesn’t seem as financially lucrative as a Pacquiao or Malignaggi fight. There’s also the potential Nate Diaz fight; yet this option seems highly unlikely as it would turn the lightweight division into a volatile mess. Being a Jones fan means to be stuck on a constant roller coaster ride, you’ll experience the lows of lows and highs of highs. Some are starting to get sick of this never-ending Roller Coaster, fans want the 100% full truthful story from Bones Jones. Either come clean to the fans or run the risk of derailing the coaster. When Jones gets sentenced in February either ban him for 5 years and cause the derailment or let him loose. 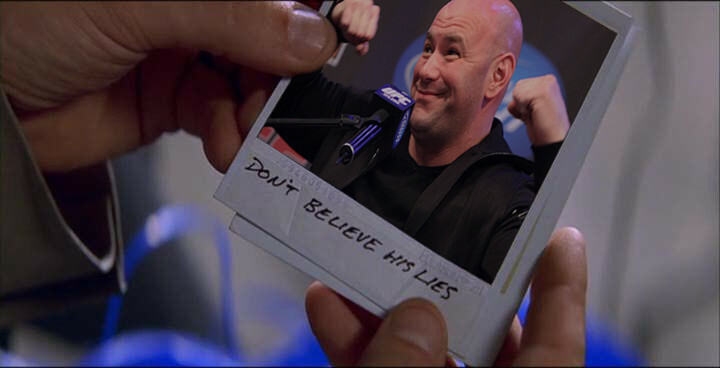 Dana White went from being a ‘God-Like’ MMA figure, where everything he said was Gospel, to a cheap meme. Bring back the angry ranting ‘Gospel Preacher’ Dana that made the UFC the company it was. The UFC-Fox TV deal is set to expire in 2018. It’s uncertain what’s in store for 2018 but we can only hope the new TV Deal is epic. Many like myself, love the early start times as it means I can watch a full card and be in bed by 3:00AM, I don’t need to go to sleep at 11:00PM to wake up at 3:00AM and watch right through to 6:00AM. It isn’t just European fans who’d appreciate this change, many on the east coast also want earlier start times. The UFC only did three huge conference this year the ‘Summer Kick-off’ and they did a smaller one for the GSP/Bisping fight back in February and finally a conference at UFC 217, they were decent and created some great sound bites, for example Bisping’s “Are you intoxicated?” jabs at St.Pierre were at the time entertaining. The UFC need to scrap the phone conferences and only offer Live Press Conferences in front of the fans. The beauty of Bellator is the fact it’s so unpredictable. The Bellator NYC card was a mess but it worked incredibly well and was worth the money. The Heavyweight Grand Prix looks on paper like a great idea but who knows what’ll happen, let’s hope nobody gets injured and that it’s a huge success.